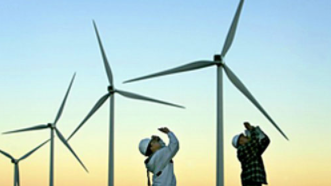 Clean air initiatives and government funding for renewable power have recently breathed life back into the wind turbine industry. However, cracks and other damages in wind turbines can be costly. Traditionally, a wind turbine would need to be laid down for repairs, costing tens of thousands of dollars alone, which doesn’t include the cost of fixing the turbine itself. At JLMC, Inc. we have a staff of certified crews that can climb wind turbine towers so improvement can be made without bringing the tower down. JLMC, Inc. has over 10 years of experience fixing turbine damage without dismantling towers. It is unique work that very few companies in the U.S. provide. Additionally, JLMC has over 30 years of experience in custom metal fabrication, so you can be assured that you will receive quality work. All of our welders are AWS D1.1 Certified. 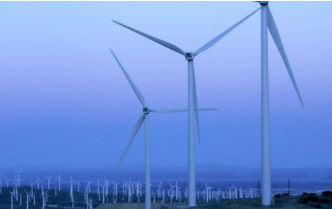 JLMC, Inc. is located in Southern California near one of the largest wind turbine fields in the U.S. However, we aren’t just a local company. Our expert servicers will travel across the country to fix any number of broken turbines you may have. Contact JLMC, Inc. for any of your wind turbine refurbish or repair needs, and we will have one of our sales representatives contact you within 24 hours. Call us at 909-947-2980 or fill out our online contact form for more information.